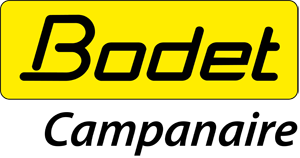 For 10 years, Bodet Campanaire has worked in lightning protection using surge arresters and lightning rods. Today, hundreds of sites have been protected by our experts. Each intervention is a unique experience for the towns and villages using our services. When there is instability and humidity in the air, thunderstorms form. This phenomenon is linked to one type of cloud in particular: cumulonimbus. Even a small thunderstorm can lead to rain and lightning strikes. Static electricity accumulates in the cumulonimbus clouds. A difference in potential then exists between the cloud and the earth. A downward lightning bolt with several streamers forms. A very high-voltage electrical discharge forms, and passes through the air to meet the ground via the shortest route possible. The current dissipates into the ground. The sound of thunder is caused by the sudden heating of the air. 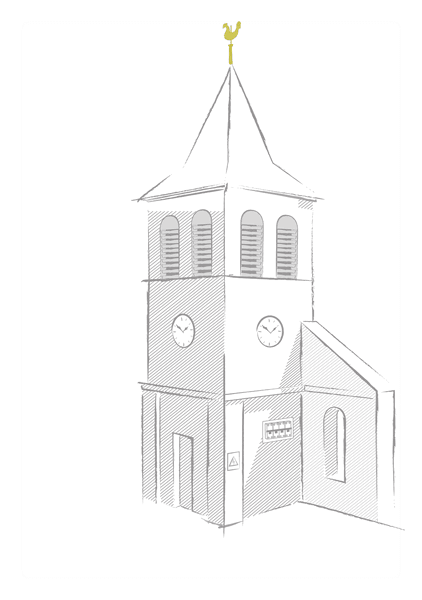 Bodet Campanaire safeguards your architectural heritage! When there is instability and humidity in the air, thunderstorms form. High points in your town or village may be at risk. We can protect you from danger by installing a surge arrester system. It intercepts a direct lightning strike on the structure. An ESE generates an upward leader that captures the lightning bolt. 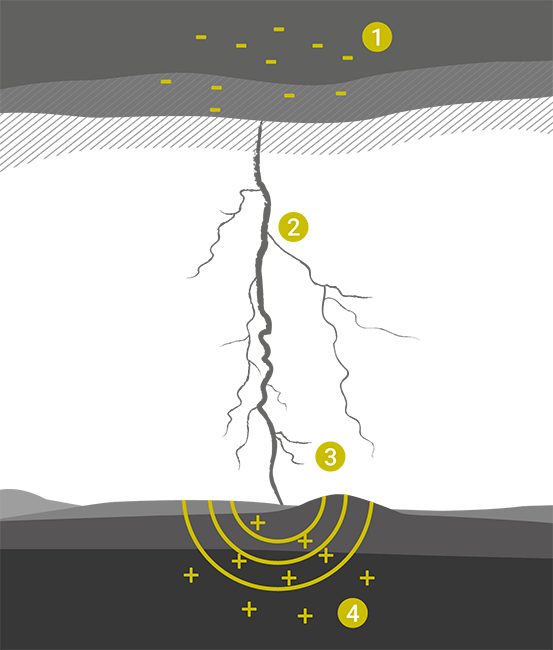 It conveys the lightning current safely into the ground (usually two). In the lower part, inspection joints, protective sleeves and inspection covers prevent damage. It protects electrical equipment from high transitory surges caused by lightning. It dissipates the lightning current into the ground. A sign warning of the risks in the event of a thunderstorm.